Italy is a country known for stunning architecture, world-famous art, delicious cuisine and incredible wine. This destination is at the top of the bucket list for many, and if it’s not on yours then these photos will surely change that! 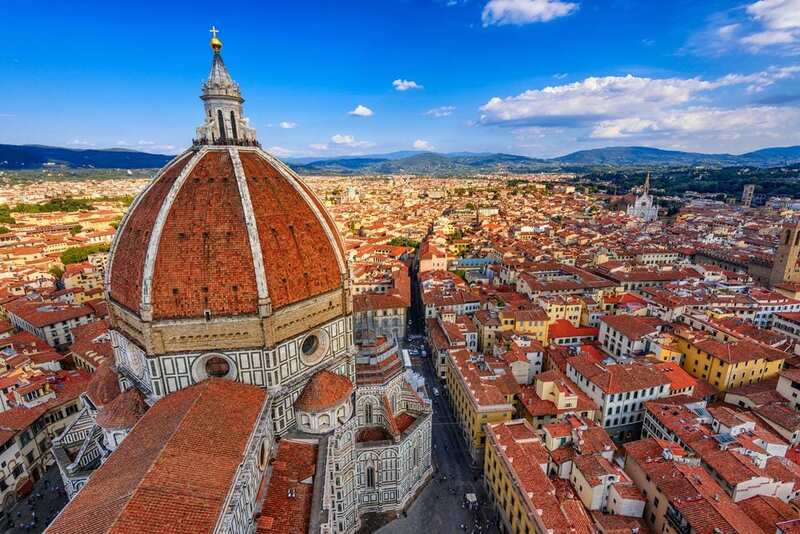 You can’t beat the skyline views in Florence. The orange rooftops create a gorgeous backdrop for photos from above. 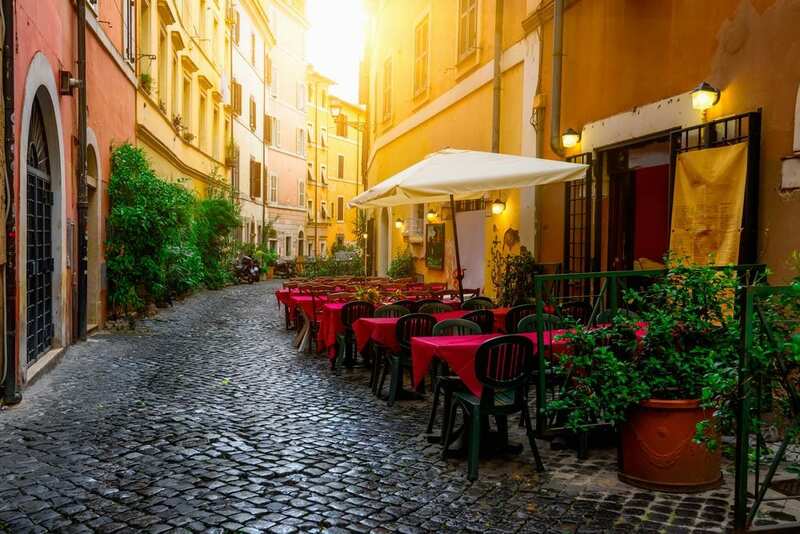 Rome is one of the most popular Italian cities for tourists, and for good reason! It is the perfect place to walk the streets and get a little lost. You’ll wind up finding the best photo opportunities this way, such as the one pictured above. 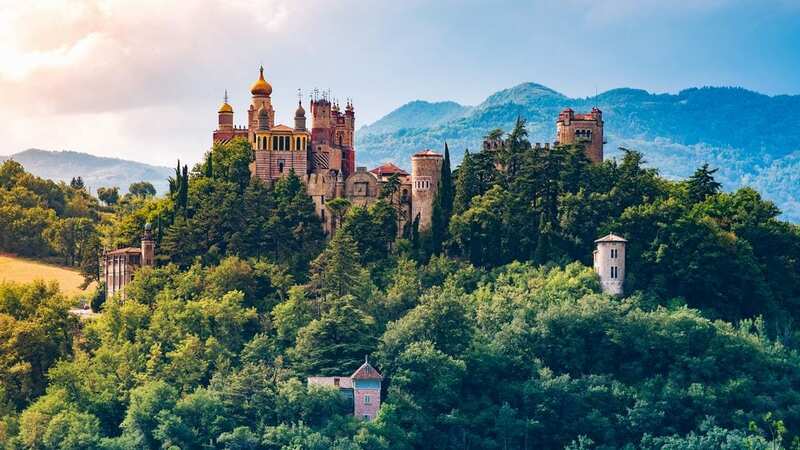 There is no shortage of castles in Italy. This one in Bologna, Italy is exceptionally gorgeous. 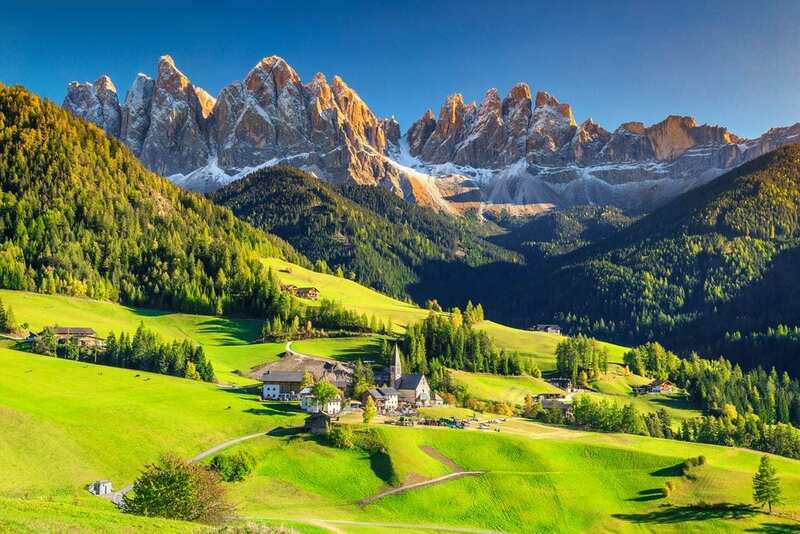 Santa Maddalena village, pictured above, has absolutely magical views of the Dolomites mountain range. There are many stunning lake views throughout Italy. 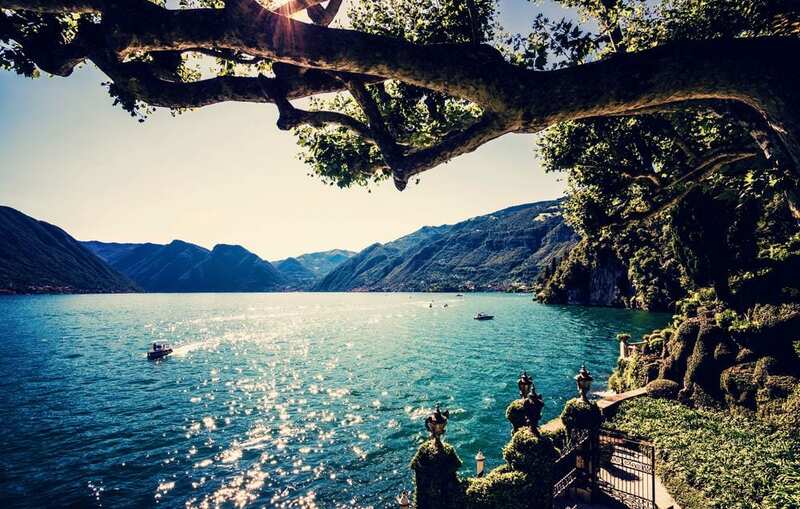 Lake Como is probably the most well known, thanks in part to George and Amal Clooney owning a home there! And for obvious other reasons, such as how gorgeous the views are, as you can see in the above photo. 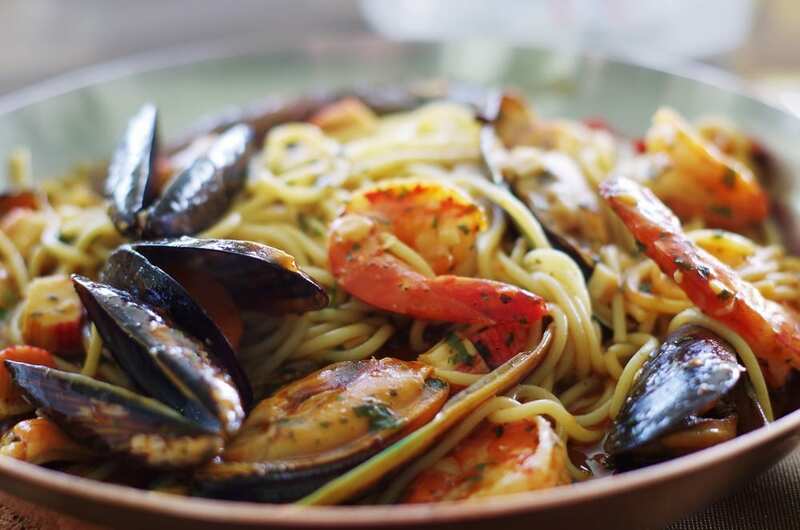 Some people come to Italy for the food alone – most notably, for the best pasta on the planet. 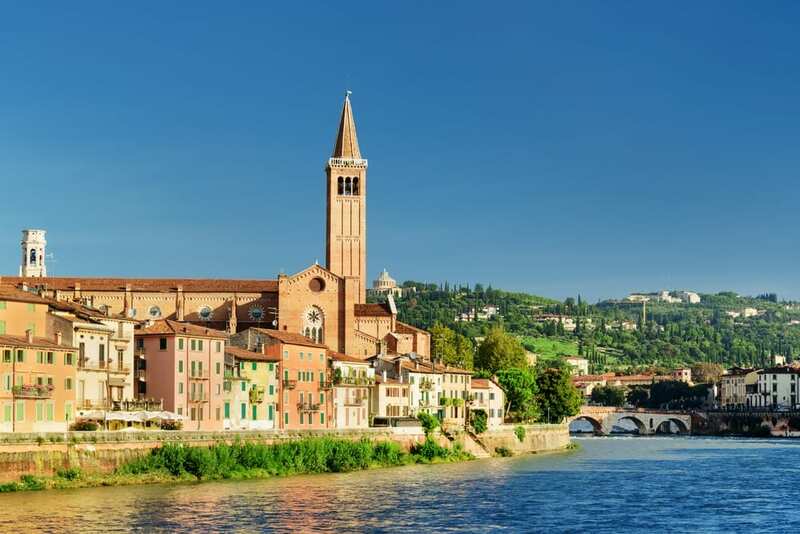 Tiny towns like Verona, pictured above, will transport you to vintage Italy. Here you’ll find picturesque cobblestone streets and hidden cafes with amazing espresso and gelato. 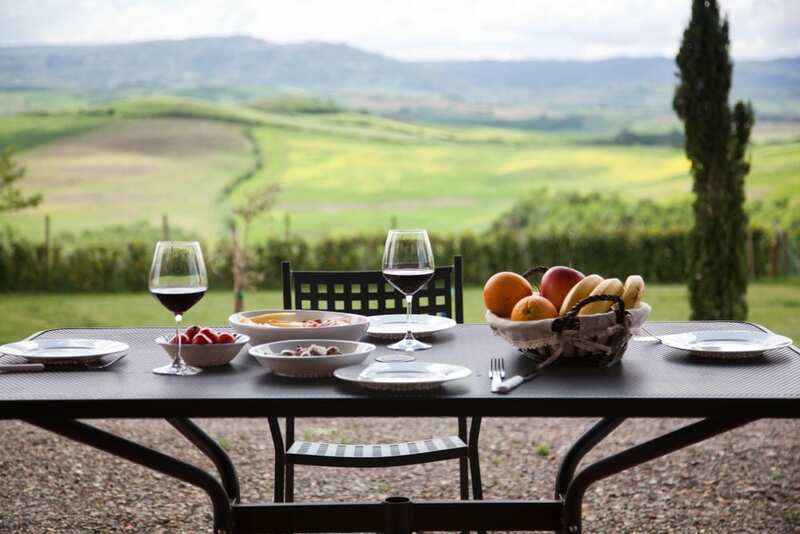 There is no better place to sample delicious wine than in Tuscany. Book a wine tour or stay in a boutique hotel on its own vineyard. The Colosseum isn’t the only ancient ruin that you must see during your stay in Italy. 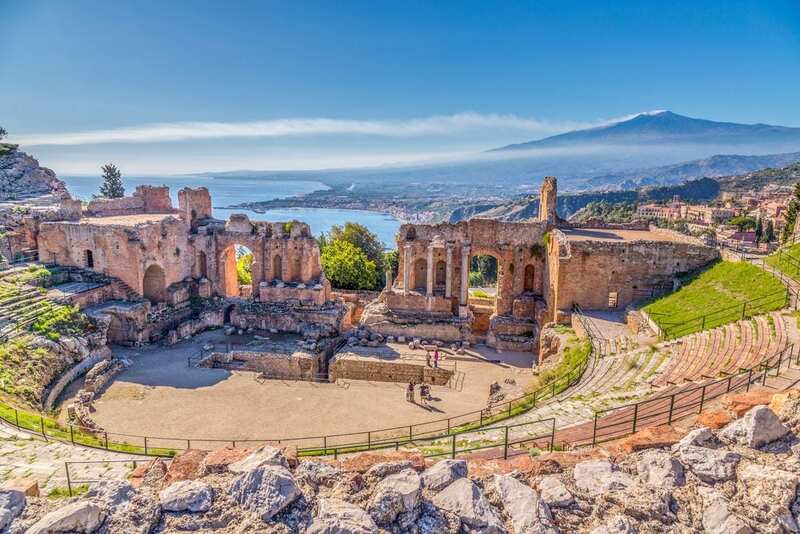 The ruins of the Ancient Greek Theater in Taormina, Sicily is pictured above, and ruins like this are scattered throughout the country of Italy. 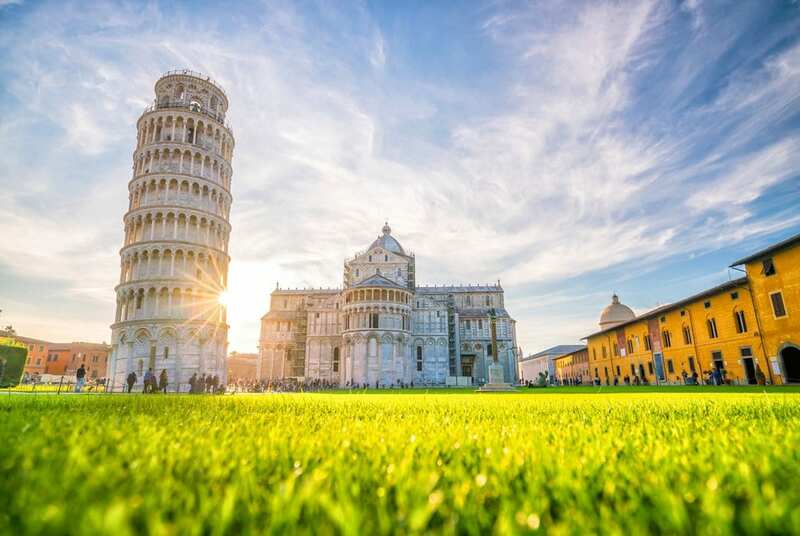 The Leaning Tower of Pisa, pictured above, is unlike any other monument you will find. Take the iconic photo holding up the structure for your Instagram feed. 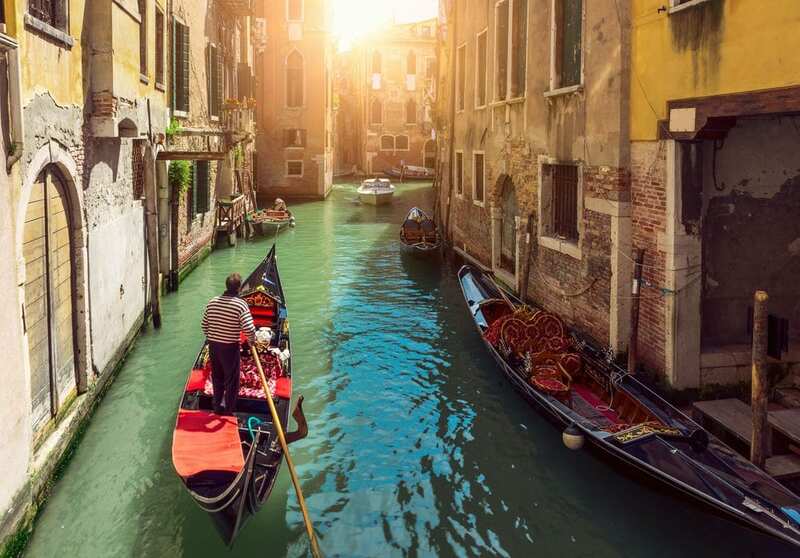 Venice is a city built on water, so if you visit you must enjoy a gondola ride through the canals. In fact, it is one of the quickest and easiest ways to get around here! Call Enchanted Travel today at 402-281-3022 to talk to one of our Italy specialists!